The replacement for the CTS is set to bow at the 2019 New York Auto Show next month. Think the American sedan is a dying breed? Well Cadillac, for one, evidently does not. GM's luxury brand is preparing to reveal its new CT5 sedan at the 2019 New York Auto Show next month and has today released the first photos and details on the all-new model. Slated to replace the outgoing CTS, the new CT5 translates the design cues we've seen on the larger CT6 and the stunning Escala concept into a slightly more compact form – to rather handsome effect – in either dynamic Sport (pictured in dark gray) or elegant Luxury (red) guises. 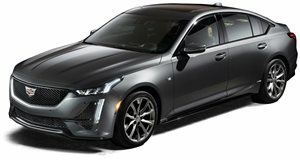 Specifications are still yet to be released in full, but what we do know is that the CT5 is based on an evolution of the same Alpha platform that underpinned the CTS it replaces (as well as the smaller ATS and Chevy Camaro). Motivation will come in the form of either a standard 2.0-liter turbo four or available 3.0-liter twin-turbo V6. Both come mated to a ten-speed automatic transmission, driving the rear wheels – but we're expecting all-wheel drive to be offered as well (with one engine, the other, or potentially both). Though output figures have not been released, the same engines are offered in the bigger CT6 to the tune of 237 horsepower and 258 lb-ft of torque, and 404 hp and 400 lb-ft, respectively. Expect them to produce about the same in the new CT5. And if we ask nicely enough, maybe Cadillac will even shoehorn in its trick new Blackwing engine to produce a CT5-V. 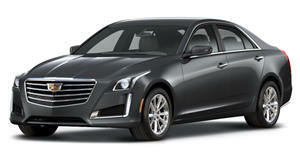 The 4.2-liter twin-turbo V8 kicks out 550 hp and 627 lb-ft in the CT6-V, and 500 hp and 553 lb-ft in the CT6 Platinum. But we're getting ahead of ourselves here. GM will produce the CT5 at its Lansing Grand River assembly plant where it's also built its aforementioned platform-mates.